The volleyball team celebrates before their tournament in Kentucky. Crimson Crier: What position(s) do you play? CC: How do you feel about the season thus far? Carle: I feel good. We have a strong team and we all work together and fight to make good plays happen. CC: How does the record look so far? Carle: We have had seven matches and one tournament this season and have eight wins and only one loss. CC: Are you looking forward to the next tournaments/matches? Carle: Yes, they are fun. I always look forward to the next match. CC: What is your national ranking? Carle: Our team is ranked 40 out of 2,452. CC: How do they determine how you get your ranking? Carle: They look at your cumulative stats and how consistent of a player you have on the team. CC: How do you feel about ranking nationally? Carle: It makes me feel really good and confident. I also got recognized in the Huntsville newspaper for my playing. I want to go to college for it and getting all this recognition makes me feel like all my hard work is paying off and like I actually have a chance at going to college for it. 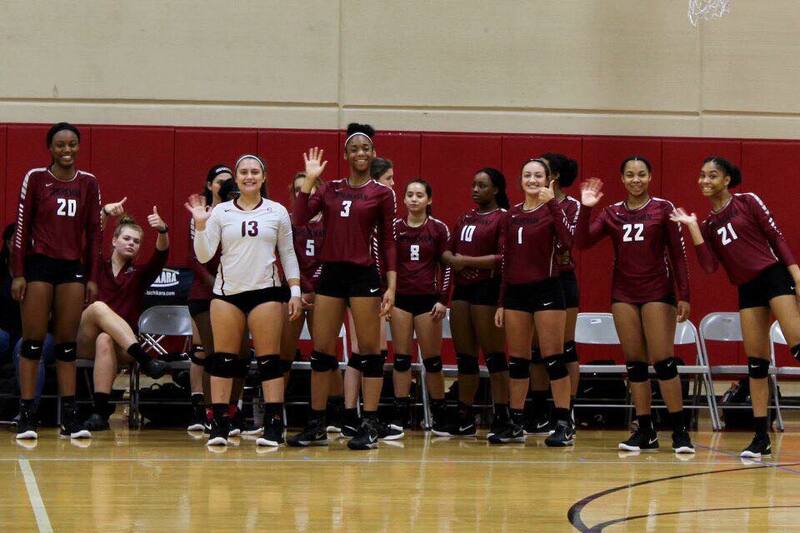 CC: Where do you hope to play college volleyball? Carle: University of Kentucky, which has been my dream college since I was 6-years-old.